When considering exporting for the first time, businesses can face a number of barriers: lack of experience, legislative difficulties in other countries, and inadequate resources to manage shipping and logistics matters are just some of the new challenges they may come up against. However, trading abroad can significantly boost profile, credibility and bottom line, and with research by Scottish Enterprise showing that there is international demand for Scottish products and services, it’s vital that businesses explore ways of overcoming these challenges. One solution is to collaborate with other businesses. By pooling knowledge and resources, businesses can make the most of the opportunities that exporting brings whilst sharing costs and potential risk. An effective way of doing this is to use the consortium co-operative business model. This model allows businesses to come together for a shared purpose; to buy or sell in scale, market more effectively, share facilities or jointly bid for contracts. Collaborative activity can include the creation of a portfolio brand for export, joint e-commerce and international marketing activity, and consolidated shipping. All members have an equal say in the running of the consortium, regardless of individual size, and a well-structured agreement is all that is required to get things underway. Advice and practical support on all aspects of establishing a consortium is available through Co-operative Development Scotland (CDS), the arm of Scotland’s enterprise agencies which supports company growth through collaborative and employee ownership business models. Having received advice and support from CDS at formation, Made in Scotland: Collaborative Export Solutions, is a great example of businesses successfully exporting through collaboration. 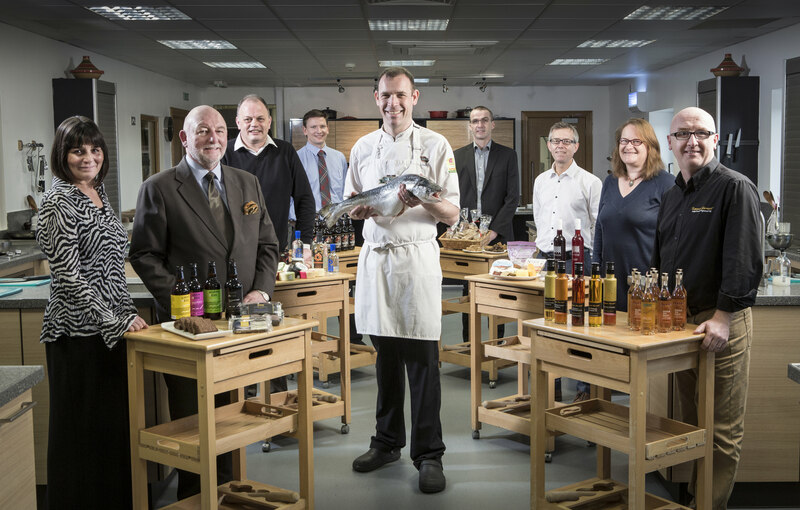 A consortium of eleven companies involved in Scotland’s luxury food and drink sector, it sells a range of products including salmon, cheese, gin and whisky, with the member businesses combining their resources and experience to extend their offering to the lucrative overseas market where there is substantial demand for Scottish produce of this kind. By sharing the costs of developing a brand, e-commerce website and marketing strategy, the consortium is able to get its name and offering out there on a magnitude that would be far more difficult for the members to achieve as individual companies. Also among the members is an e-commerce and logistics firm, which can give valuable insight into this aspect of exporting. Although facing the same notable barriers to exporting as any other small business, working together as Made in Scotland has seen the members overcome these. The consortium now sells its produce across the globe, with customers in China, Dubai, France, Germany, Singapore, Australia, Japan, Switzerland, Norway, Italy and Sweden, and the member businesses are reaping the rewards of this significant expansion.